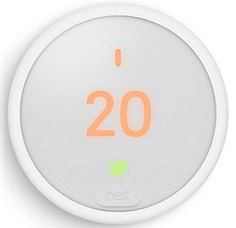 Want a FREE SMART Thermostat from GreenON (Green Ontario Fund) with FREE Installation? It’s back! The GreenON Installations program is now reopen for registration. To be eligible for a no-cost SMART Thermostat, you have to be a Home Owner or Renters living in single-detached, semi-detached, town homes or row homes. You need either a furnace or central air conditioner to take advantage of a smart thermostat in order to reduce your energy costs and fight climate change. Can’t decide which SMART thermostat to pick? 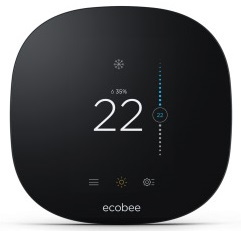 click “HERE” to compare the 2 brands ecobee vs Nest. If you live in a Condo/Apartment, please click “Here” to check for how to apply for $100 Rebate from GreenON. You need either a furnace or central air conditioner to take advantage of a smart thermostat. I would like to receive updates and information from Green Ontario Fund, including by email, regarding other greenhouse gas reduction and energy efficiency programs. Your consent may be withdrawn at any time. IESO is asking for your consent on behalf of Green Ontario Fund, 40 St. Clair Avenue West, 14th Floor, Toronto, Ontario M4V 1M2, www.greenon.ca. IESO is a not-for-profit corporation without share capital established under the Electricity Act, 1998. The Ontario Energy Board Act, 1998 and sections 6(1)(i) and 6(1)(p) of the Electricity Act, 1998, give us the authority to collect and use personal information about you and your energy-related activities. The IESO complies with the privacy protection rules contained in Ontario’s Freedom of Information and Protection of Privacy Act (“FIPPA”). The information you provide using this form will be collected, used and disclosed by IESO to: (i) administer, evaluate and verify your application to participate in the Program, (ii) communicate with you, including by email or other electronic means, (iii) operate, administer, assess, audit, evaluate, analyze, request input on or report on the Program, and (iv) develop, promote and provide you with information about this or other energy efficiency programs. For the same purposes, IESO may combine this information with other information that it has or collects about you or the property, including current and historical energy use and consumption which you agree that IESO may collect from other third parties including local electric and gas utilities, and thermostat manufacturers. IESO may share your information and information about your residence with the Ministry of Environment and Climate Change (“MOECC”) and operators of other energy efficiency programs, including Ontario Climate Change Solutions Deployment Corporation (“Green Ontario Fund”). If IESO does so, IESO will require the recipients to use such information only for the purposes identified above. You acknowledge that IESO is relying on you to obtain any required consents from other individuals, including occupants of the property, whose information may be collected, used or disclosed in connection with the administration of the Program. You agree that you have or will promptly obtain all such consents including from the legal guardians of any minors, and, if applicable, any tenants, in connection with collection, use or disclosure of information required for the administration of the Program. For more information about how Green Ontario Fund, MOECC and IESO handle personal information see their privacy policies at www.ieso.ca/en/privacy, www.ontario.ca/page/privacy-statement. 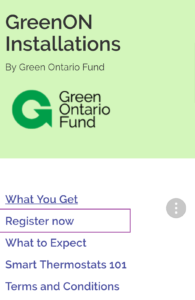 The Green Ontario Fund is a corporation without share capital established by Ontario Regulation 46/17 (the “Regulation”) under the Development Corporations Act. Section 5 of the Regulation requires the Green Ontario Fund to develop programs to reduce greenhouse gas emissions from buildings (including residences) and the production of goods, and monitor the outcomes of such programs. Section 5 of the Regulation provides legislative authority to undertake collections of personal information that are necessary for the Green Ontario Fund to meet its legislative mandate. The Green Ontario Fund complies with the privacy protection rules contained in FIPPA. You will receive an email to Congratulate you and provide you with more information. GreenON Installations – Book Now! GreenON Installers are now in your area! Schedule an installation appointment now, by completing the steps below! You will be asked to review and accept the Terms and Conditions of the Participant Agreement. Please note that an installation appointment cannot be scheduled until the Terms and Conditions of the Participant Agreement have been accepted. Upon completion of the registration process, you will receive a confirmation email including the details of your selected smart thermostat and In-Home Visit appointment time. All GreenON Installations program representatives will wear uniforms and have identification. GreenON Installations program representatives will always contact you before arriving at your home. If you would like to verify their credentials, please contact the Green Ontario Fund Call Centre at 1-888-728-8444. The GreenON Installations program representative will verify that your new smart thermostat is compatible with your home’s equipment, remove your existing thermostat, and install your new smart thermostat. We are required to take your old thermostat away and properly dispose of it according to Ontario environmental laws. If you would like to register and connect your new smart thermostat to your Wi-Fi, please have your Wi-Fi information handy. The GreenON Installations program representative can also assist you in downloading the smart thermostat application to your mobile phone so that you can control the smart thermostat remotely. Please note that Wi-Fi and thermostat registration are optional. To learn more about your options, please review the privacy FAQ on the GreenON Installations website. While your new smart thermostat is being installed and set up, a GreenON Installations program representative will conduct a walk-through assessment of your home, to visually inspect appliances, heating and cooling equipment, basement and attic insulation. The information collected during the walk-through assessment will be used to create a custom home energy report that will provide you with an overview of your home’s greenhouse gas emissions and energy usage. The report will provide custom recommendations on how you can reduce your carbon footprint and lower your energy costs. The report will be sent to you a few weeks after the visit. GreenON Installations are starting in your area! Thanks for your patience. Please review and confirm that the information we have captured about your home is correct. You can choose one of three smart thermostat models that our licensed professional will install during your in-home visit. This permits our program representatives to install a smart thermostat in your home and conduct an in-home energy review. Choose the best time for our program representatives to visit your home. 13. Select Appointments from the Calendar showing the time available in BLUE:, select one time slot and date you want and hit ‘Submit’. Our team will visit you on the appointment time shown below. We will send two GreenON Installations Program representatives to install the smart thermostat of your choice in your home and conduct an in-home energy review of your home. We look forward to helping you reduce your carbon footprint! Date and Time: between 08:00 AM and 12:00 PM; 12:00PM – 4PM or 4:00PM – 8:00PM. Thank you for applying to the GreenON Installations program and taking the first step to reduce your carbon footprint! Ontario residents have shown tremendous interest in learning how they can fight climate change right from their doorstep. We’ll send a licensed G2 professional to install the Ecobee thermostat in your home, and a home energy assessor to perform an energy assessment of your home. GreenON Installations program representatives will always present their ID badges and will be wearing Green Ontario Fund branded uniforms when visiting your home. Please ensure that your HVAC equipment is accessible so that the team can perform testing and install. 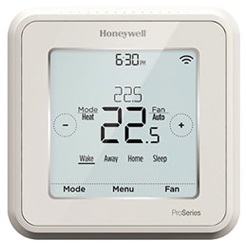 In order to take full advantage of the features of the smart thermostat, please also have your wi-fi password available, as well as any personal passwords for installing applications on your mobile device. If you have any questions regarding the registration process or scheduling, contact installationsSimplySmart@GreenON.ca or call 1-888-618-4611. In the meantime, please visit GreenON.ca to discover other energy saving programs you can take part in. Thank you for taking part in the fight against climate change. The installation process of the new smart thermostat and in-home review will take approximately two hours.